Alerts Notification - Get notified when movement is detected. 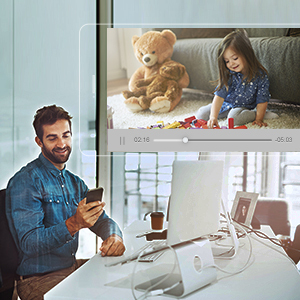 Support 24 hours continuous recording, the camera automatically save recordings on Micro SD card (up to 128G, no SD card included). Watch, download or share the last 24h videos for free. Is everything okay at home? Is my baby crying or sleeping well? What is my dog doing in house? You’re not always around to see what’s going on. 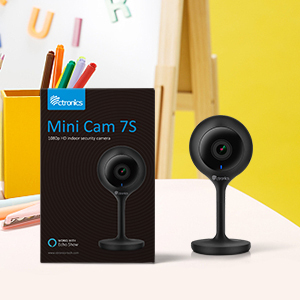 With the mini Cam Indoor, 24/7 live stream video in full 1080P, you can check or monitor your home freely just with your mobile phone or tablet, even when you’re outside. Motion detection alerts can make you know that what happens in your house when it is triggered. 10m IR night vision let you take care of your home, or your lovely baby even in total darkness without missing any details. 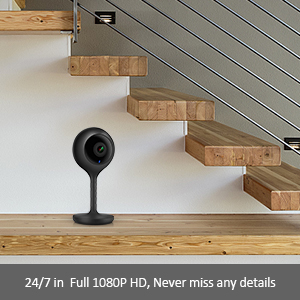 With this mini WiFi cam, you will always feel safe around. 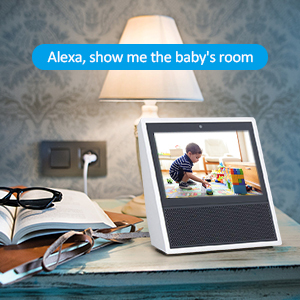 Connect your Wi-Fi Camera to Amazon Echo Show and simply ask Alexa to show you the live feed of baby's room, living room or any where you placed a mini camera. Truly hands free access to your security cameras at any time any where. With motion detection alerts, you will receive the instant notification no matter where you are. Built in microphone and speaker, you can feel free to talk to your family or scare off intruders while you are not home. 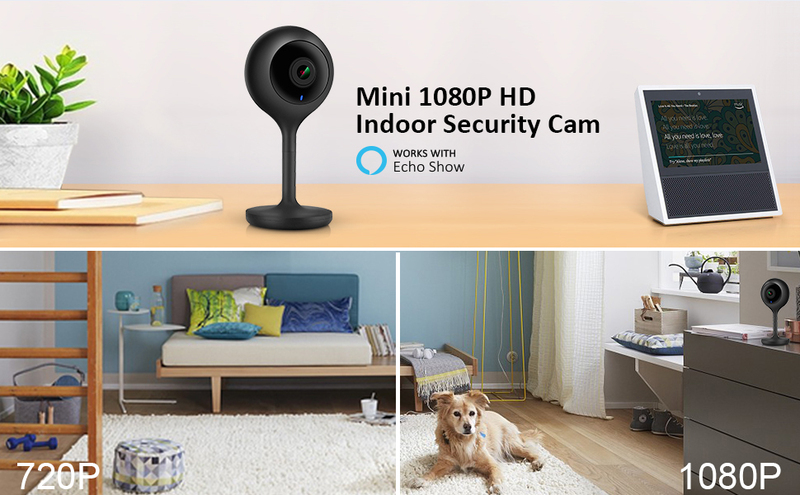 Maybe you’re not always around to see what’s going on in your home.With the mini Cam Indoor, 24/7 live stream video in full 1080P,you can check home freelyeven when you’re out. 10 pieces IR LED provide at least 10m IR range. 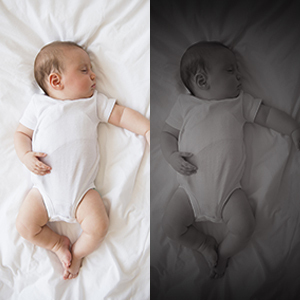 Clear black &white night vision allows youto seeclearly evenin total darkness. Lifetime EU after-sale service, free repair, and technical support for all ctronics products. We have customer support 24 hours online to resolve any of your concerns.